For children aged 12yrs and under. 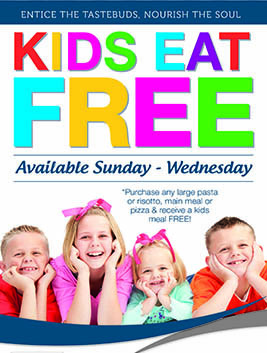 1 free kids meal for each adult purchasing a large pasta or risotto, main meal or pizza. Free meal must be selected from the kids menu only. 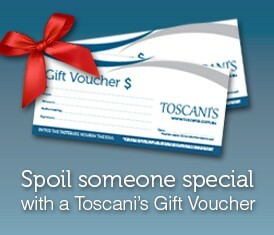 Valid all day and night Sunday - Wednesday (excluding public holidays). Not to be used in conjunction with any other offer. Not available at Cucina by Toscani's, South Bank.